Outside the Box: Glitz It Up! Now isn't that lush and you just have to add glitz! With those gorgeous colours you can only do glam and glitz, lol! I used the Blessing Tree from our sponsor this month, Squigglefly and I can see this image becoming a real go to! 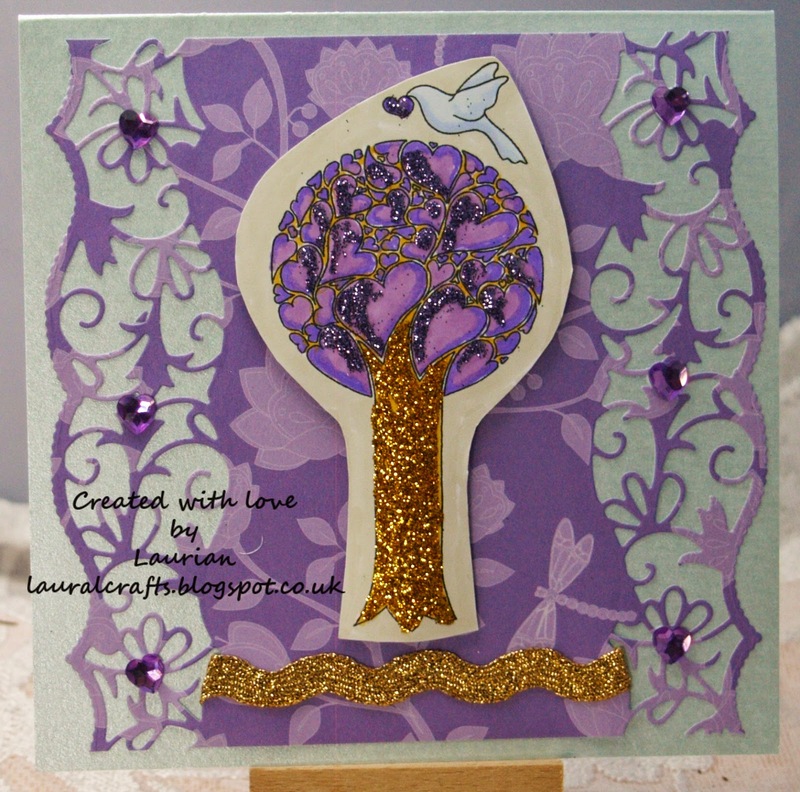 I used my new Tonic dies to make the gorgeous lacy edges to the background and I added some purple heart gems and some gold ric rac. The image has been coloured with Promarkers and glittered within an inch of its life! I hope you can join us this week in this lovely challenge - see you there! The Colours of the Flag!